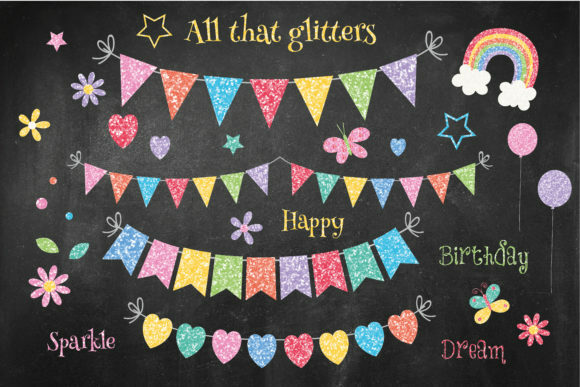 A fun set of glitter elements, buntings, balloons, flowers, hearts and stars, rainbow and butterflies. All created in a rainbow sparkle colour palette. Great for birthdays, crafts, scrapbooking, greeting cards and kids projects. Includes 30 clipart, approx size 6″ x 6″, saved on transparent backgrounds.300dpi. Coordinating glitter papers can be purchased separate.